This lecture is a part of the "Celebration of the Sciences" lecture series organized to highlight the contributions that Dartmouth alumni have made to the world of science. Lectures will take place throughout the year as part of the College's larger celebration of its 250th anniversary. Martha Pollack ’79 is a computer scientist with research expertise in artificial intelligence. She currently serves as the 14th president of Cornell University. Over the past two decades, Artificial Intelligence has come of age, and is now embedded in an astonishing array of technologies that impact almost every aspect of our lives. There is little question that these technologies have had many positive impacts, from improving medical diagnoses and treatment plans to making it easier for us to navigate in unfamiliar cities. But there is also a dawning realization of the problematic effects that AI-based systems have had or can have. In this talk I will try to disentangle concerns about “bad AI,” worries that AI-based systems will take over the world and cause intentional harm to human beings, from those about “ugly AI,” which involve the collateral damage that can arise from “good” uses of AI. I will describe important examples of ugly AI, and suggest the beginnings of approaches for addressing them while protecting the benefits of good AI. 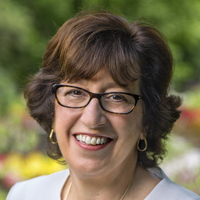 Martha E. Pollack is the fourteenth president of Cornell University and professor of computer science, information science, and linguistics. She took office on April 17, 2017. As president, she is committed to sustaining and enhancing Cornell’s academic distinction by building on its unique strengths as an Ivy League and land grant university with exceptional breadth of expertise. She supports a culture of educational “verve,” investing in new, evidence-based approaches to teaching and learning. She works to develop important synergies among and within Cornell’s campuses, building on the vision of “One Cornell” and capitalizing on the complementary strengths of our urban and rural campuses. Among her highest priorities is promoting Cornell’s founding commitment to diversity and egalitarianism, and fostering an inclusive community whose members consistently seek to communicate effectively across difference. Pollack was previously provost and executive vice president for academic affairs at the University of Michigan. She is a fellow of the American Association for the Advancement of Science, the Association for Computing Machinery, and the Association for the Advancement of Artificial Intelligence. She earned a bachelor’s degree in linguistics at Dartmouth College and an M.S. and Ph.D. in computer and information science at the University of Pennsylvania.